Another post about running this week. It’s taken over my life a bit at the moment. 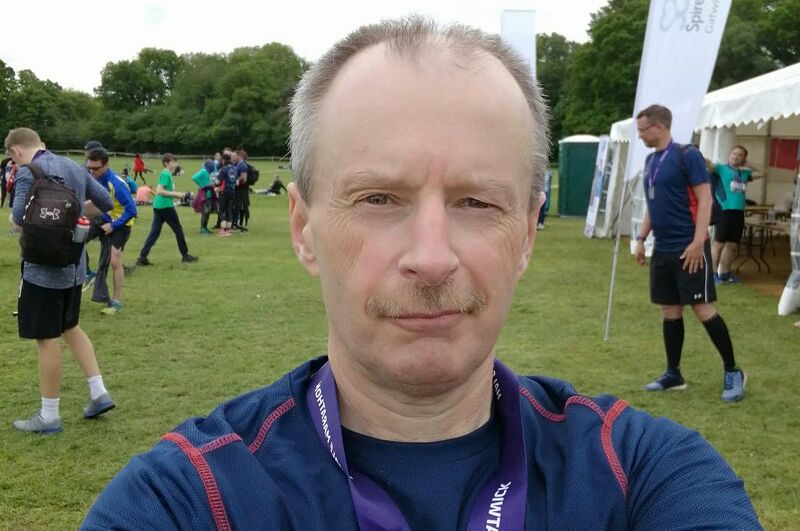 This time, all about running the first Run Gatwick Half Marathon. It was my 4th Half Marathon and I have definitely taken on board lessons from previous races at the distance. As a result, I think I ran this one the best of all. It was a steady start and I ran at my pace without being influenced by other faster runners. I think I was in a good rythmn from the first few hundred yards which always helps. I continued at the same 8:50/mile pace until mile 10. After that, a final three miles where I felt strong and ran my fastest section on the day. I finished in 1:53:27 which was a new personal best by 40 seconds. The course was flat and along (closed) country lanes for the most part. There was one small climb after 8.5 miles but it wasn’t too steep and it was followed by a descent which really set me up for the last three miles. The atmosphere on the day was great. The organisation was excellent. There were marshals every mile and water stops every three miles. Post-race bling goodies included a technical T-shirt, race medal, and a snood. Good stuff. It’s definitely a race I would do again. And it’s a race where you can aim for a PB. Three of the four of us who travelled there together ran a PB. Over the next few weeks, I’m planning to concentrate on shorter distances and run faster at parkrun.